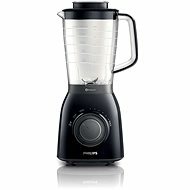 The Tefal BlendForce BL310A38 can easily prepare cocktails, soups, sauces and other mixed dishes. The device is powered by a 500W motor with two speeds and a pulse function. The high quality glass container has a volume of 1.5l and a handy lid with an ingredient filling hole. Durable stainless steel blades can be easily removed for easy cleaning. The blender is also equipped with a safety locking system. Smoothie, Soups, Crushed ice Done! 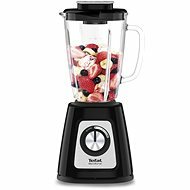 For shipping to other EU countries visit this page Tefal BlendForce BL310A38. 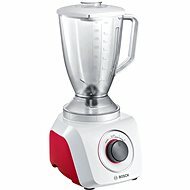 Für Versand nach Deutschland, besuchen Sie bitte Tefal BlendForce Glass BL310A38. Chcete doručit zboží do Česka? Prohlédněte si Tefal BlendForce Glass BL310A39. Chcete doručiť tovar na Slovensko? Prezrite si Tefal BlendForce Glass BL310A39. Für Versand nach Österreich, besuchen Sie bitte Tefal BlendForce Glass BL310A38. Magyarországra történő kiszállításért tekintse meg ezt a termékoldalt: Tefal BlendForce Glass BL310A39.